A daily antiaging moisturizer with the added benefit of SPF 20 that improves the appearance of wrinkles and skin texture while providing 24-hour hydration for visibly smoother and plumped skin. This anti-aging day cream immerses your skin in comfort and 24-hour hydration. SPF 20 provides additional sun protection to protect against future damage caused by UVA rays. The formula locks in moisture for 24 hours while visibly plumping and softening skin and boosting luminosity and bounce. Its luxurious silky cream texture melts on skin for an ultimate comfortable feeling. In the morning, apply to the entire face and neck. 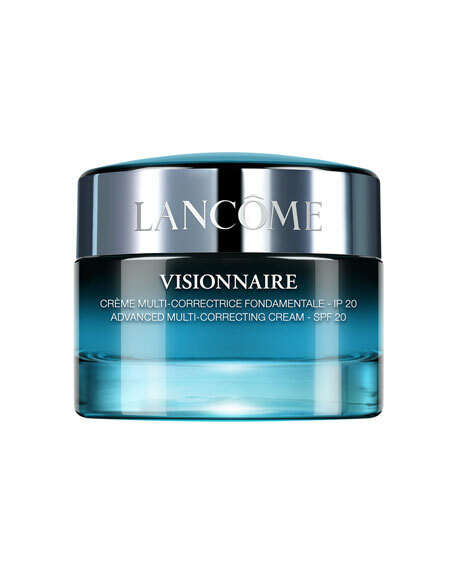 Tip: This cream is a perfect partner with Visionnaire Crescendo. Pair with this powerful peel to hydrate your skin, multi-correct on wrinkles and skin texture, and protect against sun damage. This product is suitable for sensitive skin and tested under dermatological control.